Caring for an older adult can be overwhelming, confusing, and incredibly stressful. To get some help and relief, consider hiring an aging care expert. They’re typically called geriatric care managers (GCMs) or aging life care professionals. 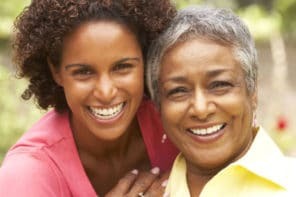 Their experience and knowledge about senior care issues and local resources can be especially helpful when you’ve run into a difficult or complex situation with your older adult. Even if you don’t need one full-time, a few hours of consultation could make a world of difference in solving a tricky problem. We share 5 situations where hiring a geriatric care manager could help solve tough problems and get better care for your older adult. A geriatric care manager (or aging life care professional) is an experienced professional whose goal is to improve your older adult’s quality of life and reduce family stress. 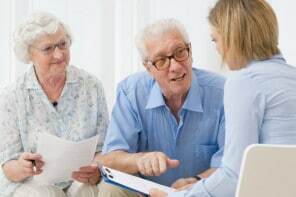 They can help you navigate the senior care system, advise you on caregiving decisions, connect you with helpful resources, supervise your older adult’s care, and help resolve family issues. When older adults develop serious behavioral issues (typically in dementia), like constant verbal abuse or physical combativeness, it can be difficult to pinpoint the true cause of the problem. Unless you have an experienced geriatrician (geriatric doctor) who’s committed to figuring it out, you may need a GCM to connect you with the right specialists who can solve it. Caring for an older adult almost often complicated problems. Sometimes, you run into a brick wall trying to solve them. When that happens, hiring a geriatric care manager can be a big help. For example, your mom lives in an assisted living community and you feel that she needs more care than their regular staff provides. However, they won’t let you hire a private aide for her. You’ve negotiated and argued with the administrator until you’re blue in the face, but aren’t getting anywhere. A geriatric care manager understands how these communities really work, what the relevant state laws are, and will negotiate on your behalf. Because they’re industry insiders, they’re more likely to reach a solution that’s in your senior’s best interests. Many seniors don’t want to burden adult children with problems or worries. If you suspect that your older adult is not telling you about things that affect their health or well-being, you could hire a geriatric care manager to check on them. Some people are more likely to share their concerns with an expert outside the family. It’s difficult to manage your older adult’s care when you don’t live near them. There’s no substitute for having someone there in person to make sure they’re well cared for. When it’s impossible for you to visit frequently, a GCM could supervise their care, alert you to any issues, and work with you when decisions are needed. At some point in your older adult’s care, you and your family might feel completely lost and unsure. If you’re stuck and don’t know what to do, a geriatric care manager can help you understand the available options, tradeoffs, and costs. If you have the discretionary funds to hire a specialists, geriatric care managers, in home aides, etc. there is really no end to the help you can get. However, if you don’t have the discretionary funds to pay for all the “help,” you are sunk. There are a lot of people who are “too wealthy” for Medicaid (which covers skilled nursing care for the indigent –those with little to no assets) and those who have planned and budgeted for this stage of life and have the money to pay for care. Most boomer kids I know (who are in their late 60’s or early 70’s and have just retired,) did not save and budget to pay for their parent’s expensive care which could last well into the 90’s. I have two parents in this situation right now. I just retired at age 68. The parents had a long and carefree retirement in their second home in FL. They never had parents to support or care for. Now they are in their 90’s and I’m looking at going back to work at age 69 to pay for their care, since they did not save or plan for that. I’m sorry to hear about this challenging situation. Services like a geriatric care manager aren’t always necessary for good care. But if there are complex issues, sometimes hiring a specialist for a few hours can save money in the long run. Similarly, consulting with an elder law attorney can help people plan ahead to properly qualify for Medicaid in their state. #2 could also be addressed by the state ombudsman for no charge. That’s a great point, thank you for sharing! Based on feedback from our audience, it seems that help provided by their local ombudsmen can really vary. Some work hard and are able to resolve problems and others don’t help much at all or side with the assisted living community. For those who aren’t getting anywhere using an ombudsman, a care manager could be another option to explore.